That's because she is one of only two people in the world known to have a rare genetic mutation. 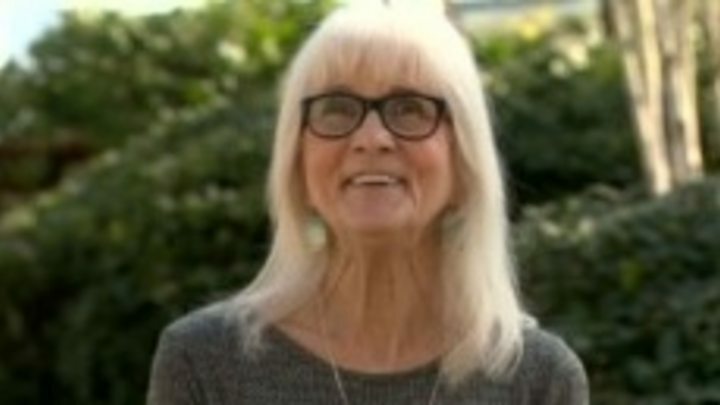 It wasn't until she was 65 she realised she was different - when doctors couldn't believe she didn't need painkillers after a serious operation. When she felt nothing, her anaesthetist - Dr Devjit Srivastava - sent her to pain geneticists at University College London (UCL) and Oxford University. 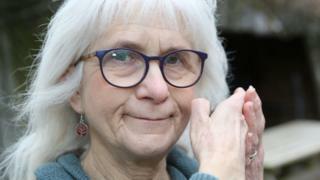 Jo, from Whitebridge, near Inverness, told the BBC Scotland news website that doctors didn't believe her when she said she wouldn't need pain relief after surgery. She said: "We had banter before theatre when I guaranteed I wouldn't need painkillers. "When he found I hadn't had any, he checked my medical history and found I had never asked for painkillers." That's when she was referred to specialists in England. Once diagnosed, Jo realised that she wasn't just "incredibly healthy", as she'd believed. She said: "Looking back, I realise I hadn't needed painkillers, but if you don't need them you don't question why you don't. "You are what you are, until someone points it out you don't question it. I was just a happy soul who didn't realise there was anything different about me." She didn't even feel pain during childbirth, recalling: "It was just strange, but I didn't have pain. It was quite enjoyable really." 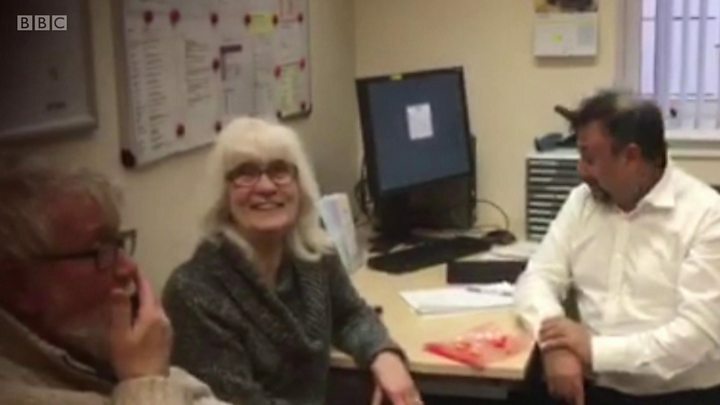 Media captionAlong with her husband Jim and her anaesthetist Dr Devjit Srivastava, Jo took part in a chilli challenge. While the two men react to the heat of the chilli, Jo keeps smiling - unfazed by the spice. Jo wouldn't change anything, but thinks pain is important and says: "Pain is there for a reason, it warns you - you hear alarm bells. "It would be nice to have warning when something's wrong - I didn't know my hip was gone until it was really gone, I physically couldn't walk with my arthritis." "It's called the happy gene or forgetful gene. I have been annoying people by being happy and forgetful all my life - I've got an excuse now," she said. Could Jo's genes hold the key to helping others? Jo said recently she had a "minor bump" in the car, but was unmoved by what many would have found an upsetting experience. "I don't have adrenalin. You should have that warning, it's part of being human, but I wouldn't change it." The other driver, she said, was "shaking like anything", but she was able to stay calm. "I don't get that reaction... it's not brave, the fear just doesn't happen." The researchers say it's possible there are more people like Jo. "One out of two patients after surgery today still experiences moderate to severe pain, despite all advances in pain killer medications. It remains to be seen if any new treatments could be developed based on our findings," said Dr Srivastava. "The findings point towards a novel painkiller discovery that could potentially offer post-surgical pain relief and also accelerate wound healing. We hope this could help the 330 million patients who undergo surgery globally every year." Jo's case is the subject of a paper published in the British Journal of Anaesthesia, written by Dr Srivastava and Dr James Cox, of UCL. Dr Cox said: "People with rare insensitivity to pain can be valuable to medical research as we learn how their genetic mutations impact how they experience pain, so we would encourage anyone who does not experience pain to come forward. "We hope that with time, our findings might contribute to clinical research for post-operative pain and anxiety, and potentially chronic pain, PTSD and wound healing."